March is undoubtedly an important month for women, not only is it Women’s History Month but it also contains International Women’s Day and Mother’s Day. 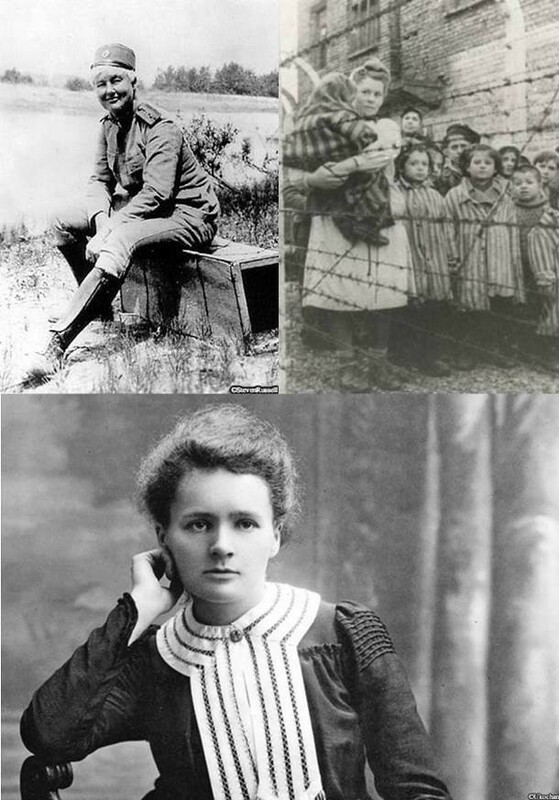 Our March blog is of course dedicated to some inspiring women from World War One and Two. After Stanisława Leszczyńska and her daughter Sylwia were caught providing Jews with false documents and food, they found themselves incarcerated in the deadly Auschwitz Concentration Camp. Due to their medical backgrounds, with Stanisława being a midwife, both women were quickly summoned to the women's camp maternity ward. There Stanisława was given strict instruction to euthanise any babies that were born or she would face death. This went against everything Stanisława believed in, she was a kind hearted-woman and had a strict Catholic background and so she stuck to her morals. In secret Stanisława bravely helped to deliver around 3,000 babies during her time at Auschwitz. She said a quick prayer for every one she held in her arms before handing them over to their relieved mothers. It was this kindness and the many children she delivered that gained her the nickname “Mother” among the other women in the camp. Stanisława helped to bring life to a place that was so full of death. Despite having no medical equipment and working in squalor not a single woman or child died in Stanisława’s care. As a young Suffolk girl born in 1876, most would expect Flora to be dreaming of finding a good husband and starting a family. However, Flora had other plans in mind, she had a love for adventure and her biggest dream was to be a soldier. Little did Flora know she would become the only British woman to officially serve in the First World War! Fed up of menial chores, she knew she needed a change and so just eight days after the war she left with the Red Cross. She served as a nurse and provided aid in Serbian military hospitals. However, Serbia also happened to be the only country where women could join the ranks and so it wasn’t long before Flora did, making her dreams come true. Not only did Flora fight but she had a very successful army career becoming the only woman and foreigner to become an officer thanks to her unstoppable bravery. At the end of the war, she was quoted as saying "I never loved anything so much in my life." She was awarded several medals for her service including the Karageorge Star and was mentioned twice in Dispatches for exceptional bravery. Marie Curie, born as Maria Skłodowska in Warsaw Poland, was the youngest of five children. She moved to France for university and it was there she met her future husband, a scientist Pierre Curie in 1894. While working as a research assistant in Paris, she made the breakthrough discoveries of both polonium and radium and began diligently studying them. This, however, wasn't the last of Marie's genius. During the war, she invented the radiological car and raised funds to create more. The radiological car was a portable X-Ray machine which could be driven. Before this, getting an X-Ray machine to the battlefields was impossible. It made a big difference to the front line’s efforts when assisting injured soldiers. She also trained 150 brave women to help operate these machines. Today Marie Curie is mostly known for her work in cancer. Her discovery in the field of radioactivity coupled with her husband Pierre’s idea of putting a small amount of radioactive material into tumours in order to shrink them led to brachytherapy. The treatment is used to fight many cancers’ today. Marie was an innovative, intellectual and curious woman who never quit. Not only was she the first woman to be awarded a Nobel Prize but she received two in her lifetime which she gave away to raise even more money for the war effort! Sadly, she passed away from an illness caused by radiation exposure but the sacrifices she made have never been forgotten. She’s quoted as saying "I am one of those who think like Nobel, that humanity will draw more good than evil from new discoveries."